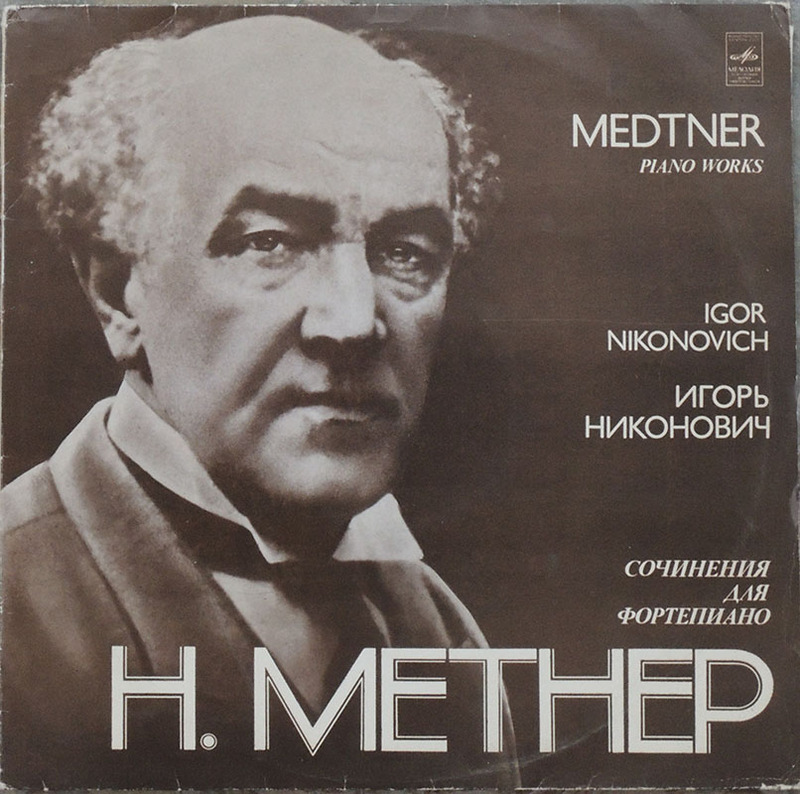 Medtner also made unpublished recordings of Op 26 nos 2 and 3 for Columbia in 1930. As is often the case, the 1959 Collected Edition contains additional markings and the odd alteration to dynamics. 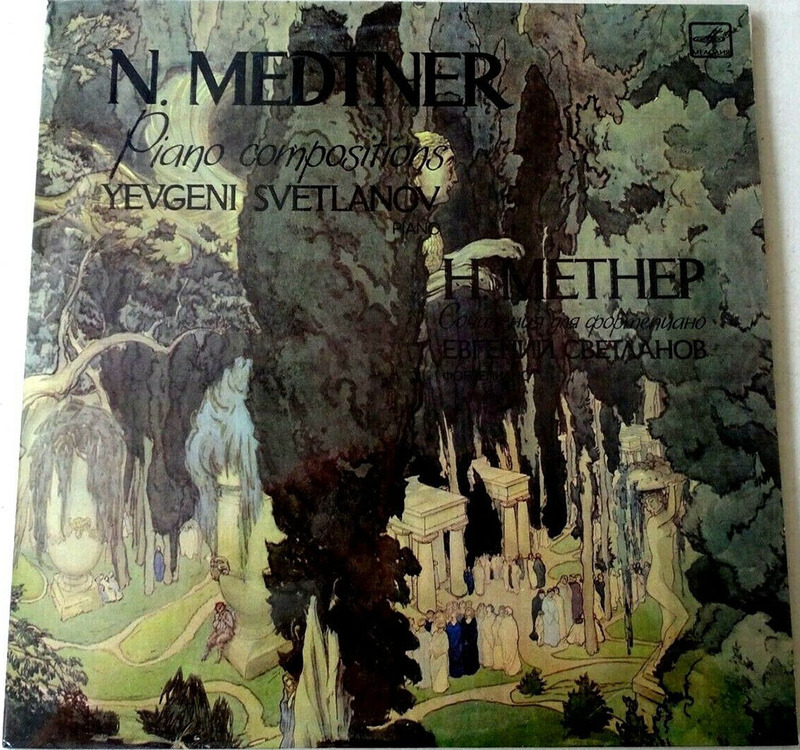 The differences are most marked in no.3, in which each edition has tempo and dynamic indications not present in the other. 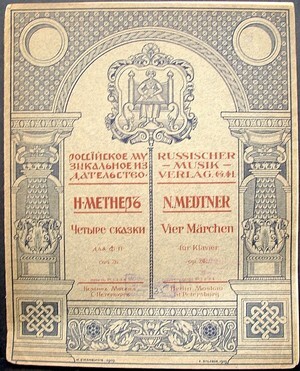 I have an Édition Russe de Musique score of no.1 printed after 1930 (most probably 1930-1936) that contains numerous markings not present in either of the other editions. The notes below refer to this as the 1930 edition. Arpeggiated chord in the RH is accented in the 1930 edition but has a tenuto mark in the 1959 edition. Pedal mark in the 1930 edition. 1930 edition marked tranq. espressivo above the RH in bar 16 and espress. calando above the second RH phrase in bar 17. The pp on the last note of the RH in bar 16 is absent from the 1913 edition. The 1930 edition also has pp under the first LH phrase in Bar 17. 1930 edition marked con ped.. The two later editions are fingered 3 in the second note of the LH, 4 in the 1913 edition. 1930 edition marked espress. above the first phrase in the RH. There are pedal marks at the start of the 1st and 3rd beats, each released halfway through the following beat. The dynamic is pp in 1913 rather than ppp and there is no additional marking on the final note. The 1930 edition has pp in both places and and additional pp in the LH. Both the 1913 and 1930 editions have an additional B flat between the two E flats in the arpeggiated chord in the RH. In the 1930 edition this chord is accented and there is a pedal mark in the LH. The Ab in the final LH chord (which duplicates the main note in the RH) is absent in the 1913 edition. The 1913 edition lacks the indication "poco a poco quasi valse" in bar 19 and the sempre accel in bar 20. It also lack the tempo marking "Tempo di Valse (sempre accelerando)" in bar 26. The Eb at the start of bar 26 is only a quarter note in the 1913 edition, possibly an error. The 1913 edition lacks two Eb eighth notes in the treble, above the Bb at the end of bar 28 and above the G in bar 29. These mirror the Eb eight notes in bars 25-26. 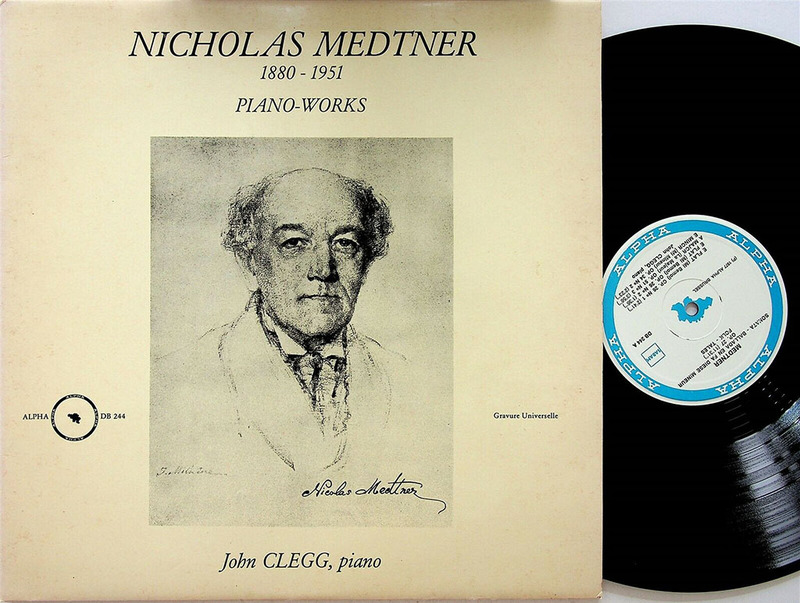 Most probably this was an error in the original edition that Medtner corrected. In 1913 the marking is con Ped. rather than Ped.. There are minor differences in the pedal marks elsewhere in the piece.